Passoa requested Brand Activation at 4LittleBirds. They would like to create visibility at Beach clubs and Beach bars. To get their Passoa~logo on the map they suggested something in return to Beach-clubs and -bars. An Eye-Catcher with brand activation in it for larger groups of customers. 4LB created an innovative product where 11 people can chill in at the same time. 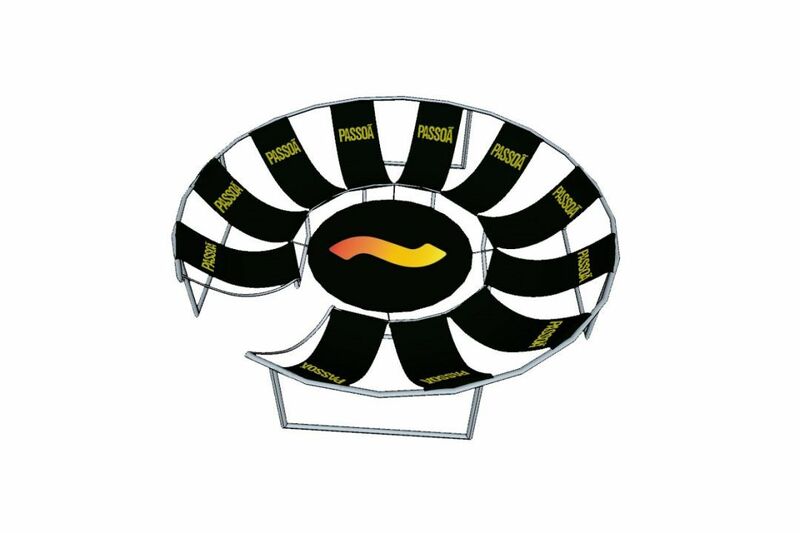 The Brand Activation Beach Chair! One of the most social meeting spots you can imagine and enjoy your Passoa cocktail in. Customers enjoy themselves fully in the there. Passoa slogan: “Creating Real Moments” and socialize with friends.